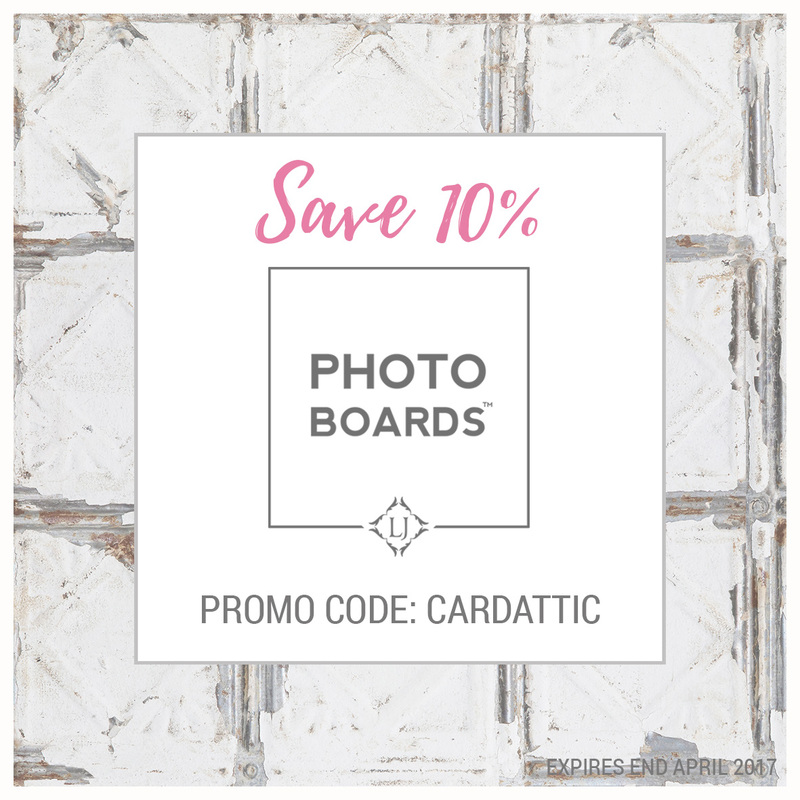 Hello lovely crafters! November already? Where does the time go? 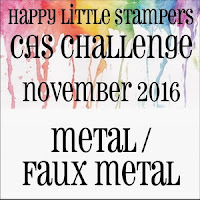 It's time for another challenge over on the Happy Little Stampers CAS Challenge blog and this time we want you to use 'Faux Metal' techniques. If you aren't sure what they are, there are a number of video tutorials linked over at the challenge, so you can just pick one and follow along with it, but don't forget to link back to the challenge for a chance to win a prize! 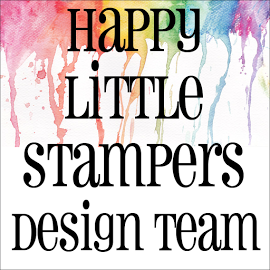 As usual Happy Little Stampers are sponsoring the challenge! Here are the pictures of my card and below the pictures will be the method I used. For the card base I used watercolour card and used my Simon Says Stamp 'Air Vent' die for the border and cut a strip of gold, pearlised card to place beneath to peep through the slots. I mounted that on to the card base, with a thin strip above and below to give a little margin. 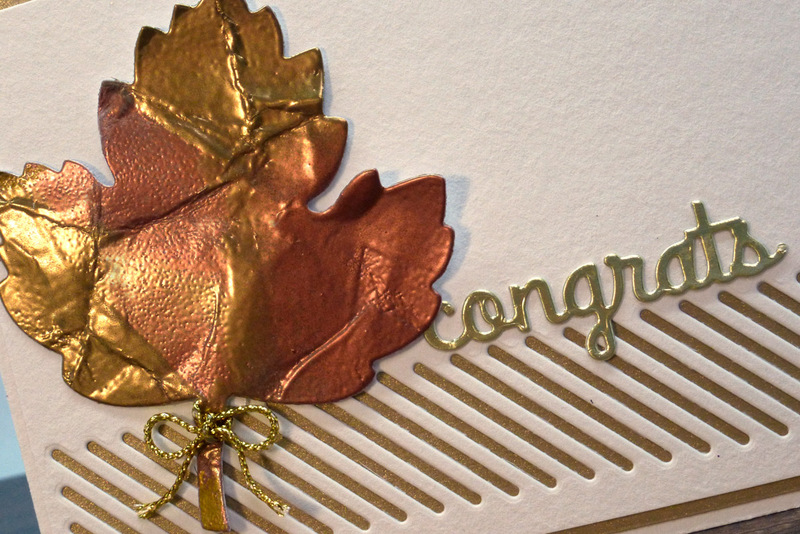 To create the 'faux metal' leaf, I took a piece of plain white card-stock and crumpled it up in my hand. Then I flattened it out with my fingers and die cut a leaf with my Stampin' Up 'Leaflets Framelits'. Next, I covered the whole leaf in Versamark and sprinkled on some copper embossing powder in places and then some gold, in the areas without the copper and heat set it. I repeated the process for a second layer, so the coating was thicker and looked more like metal. I then tied a piece of gold twine around the base and adhered it to my card front with thin, foam tape. 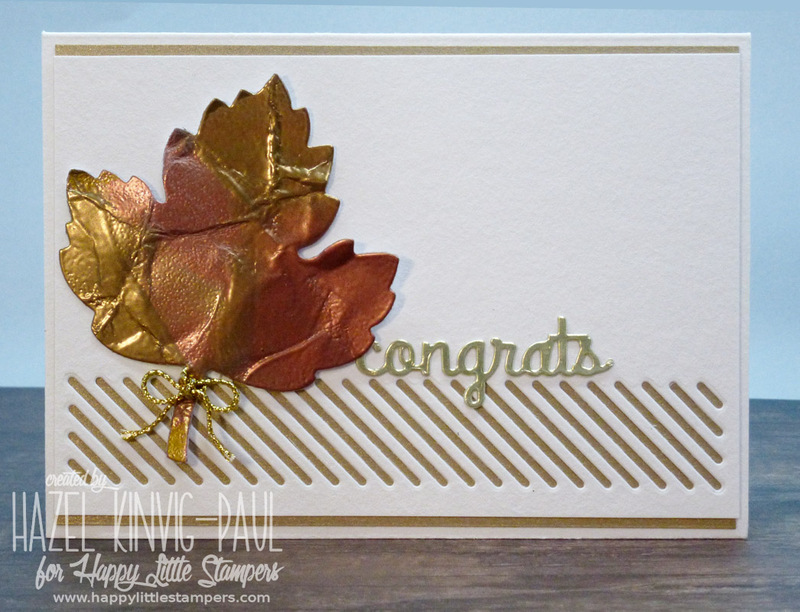 I finished the card, by cutting a gold foil sentiment and adhered that flat to the card. 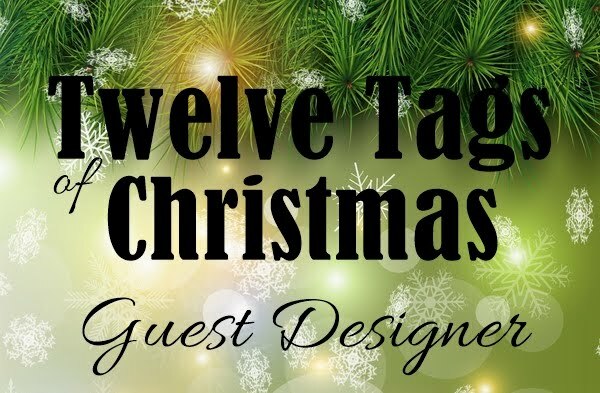 I do hope that you join us and give this fantastic technique a try, it is so much fun! You got a great result with that faux metal technique! I love the two colors of embossing powder your used. The card is very attractive and you should be really proud of it! TFS!! I love that gorgeous leaf!!! Great use of the technique. And the whole design is absolutely stunning. 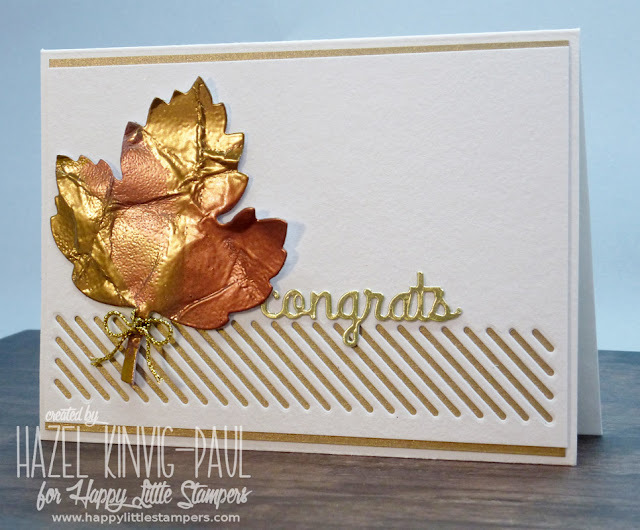 Your leaf looks fantastic and really makes your card shine! Wow..the leaf looks like cut out of foil !Wonderful card ! Wow! Another very impressive card. I love the look of metal leaf. So beautiful...love your amazing leaf! 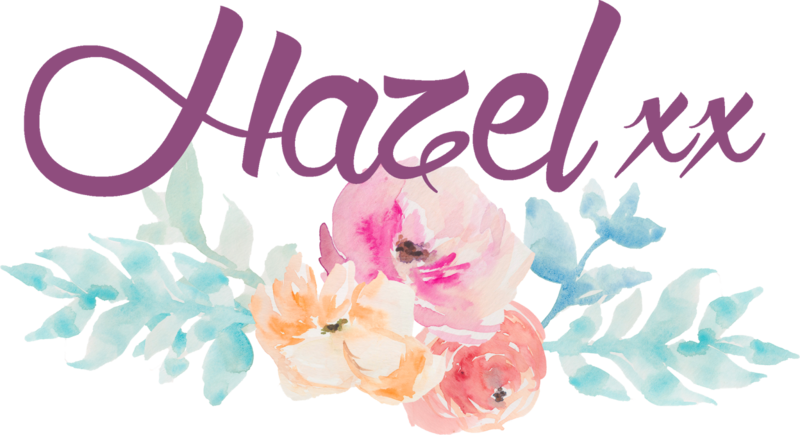 Your leaf is gorgeous, Hazel! 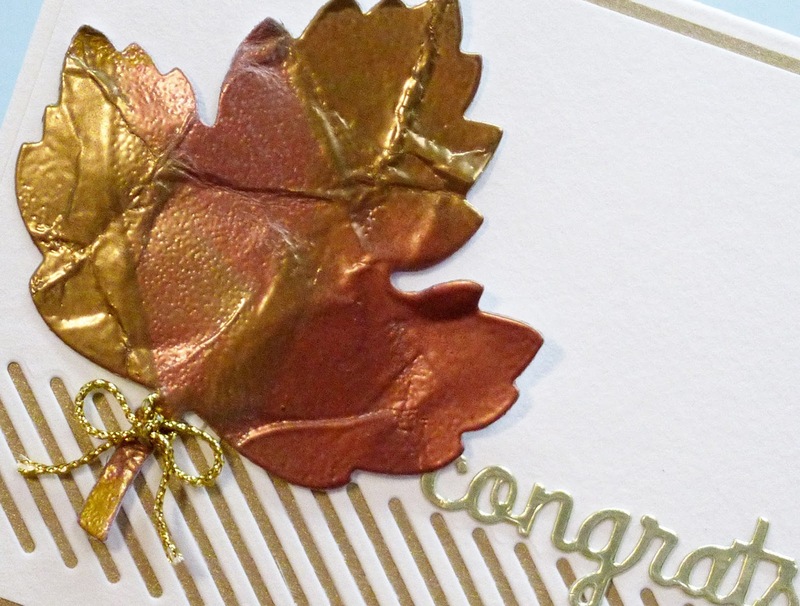 I love all that metallic shine and the texture from scrunching the paper! A very classy card! This leaf is gorgeous Hazel...fab card!